Spied - New Audi Q5 Crossover facelift, testing in cold weather! Home Audi Spied – New Audi Q5 Crossover facelift, testing in cold weather! 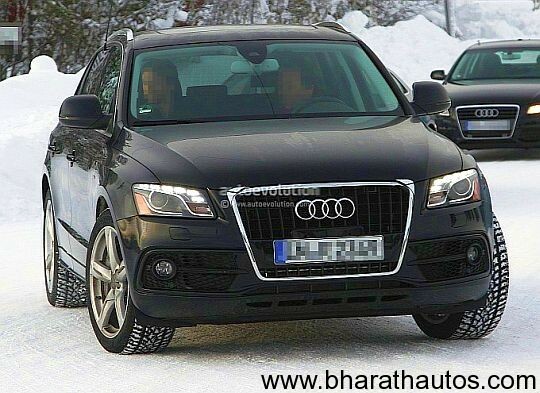 Spied – New Audi Q5 Crossover facelift, testing in cold weather! Audi Q5 is considered as one of the bestselling luxury crossovers in the country and has been giving a real hard time to BMW X3. 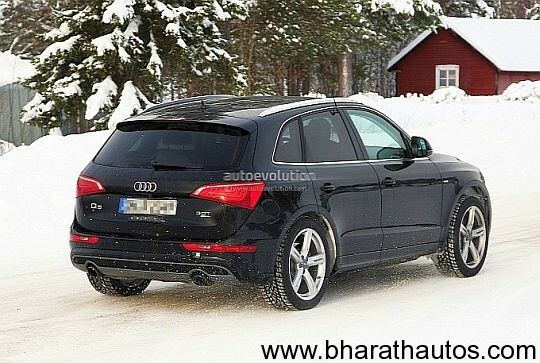 Now Audi India has plans to give Audi Q5 Crossover a mid life facelift by 2013 and the facelifted model has just been spotted doing cold weather testing in the Nordic by our friends over at AutoEvolution. The new Audi Q5 Crossover looks a head-turner and has received the new look on the front. 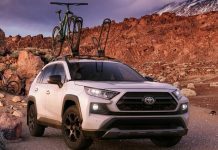 The freshly designed headlamps and a restyled grille steal the show. The bumper has also been given a makeover, however, it is still a bit unclear as to what other changes apart from headlamps, grille and bumper have been given to the new Audi Q5 Crossover. The rear end of the new Audi Q5 Crossover appeared to be quite similar to the current model. Audi assembles Audi Q5 at its Aurangabad assembly unit via CKD or completely knocked down unit. 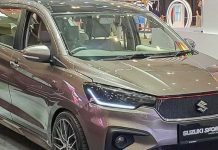 The current model comes with a 2 litre of TDI diesel engine, which has been priced very competitively to fetch more sales to company. Apart from this, Audi India will also commence the assembling of Audi Q7 in the country in next couple of months by the means of CKD kits. This will hopefully cut down the cost of Audi Q7 by around 20%, which is certainly very impressive. Therefore, be ready to expect a toned down price tag for 2012 Audi Q7 Crossover in next few months. It is a well-known fact that Audi’s Q range of crossovers has been proudly dictating the Indian luxury SUV bazaar since a long time now and in next few months, a brand new range of crossover will join the bandwagon. Audi will come up with Audi Q3 Crossover during the second half of this year, which would directly compete with BWM X1. The new Audi Q3 is expected to be priced around Rs. 30 lakh and will be assembled in the country itself.